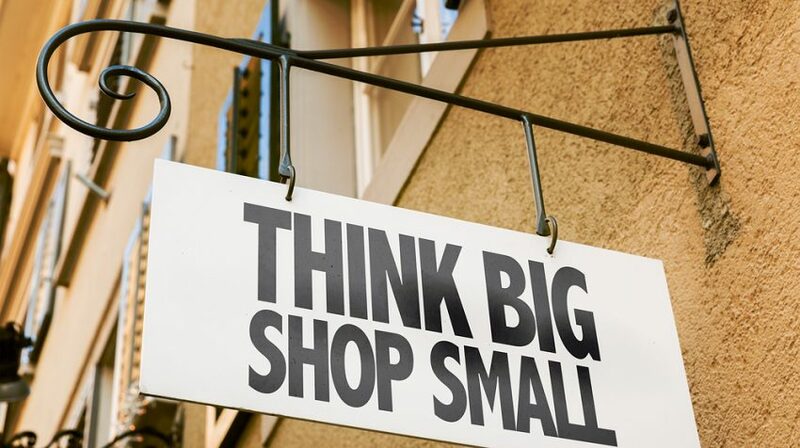 Good news for small retailers (and, indeed, for all small businesses): Consumers prefer local businesses to national chains, according to a new study by GoDigital. How can you capitalize on this preference, and more effectively market your retail store to local customers in a way that appeals to their natural preference for shopping local? Here’s what the report had to say. First, consumers don’t need a lot of extrinsic motivation to patronize local businesses: 55 percent say they do so because they like to support their local communities, and 30 percent say they do so in order to support small businesses (even if those businesses aren’t right in their local area). The factors you might think would make a big difference in choosing where to shop — such as convenience, product selection, staff knowledge and prices — are far down the list of consumers’ reasons for shopping local. The takeaway: As long as you sell what they’re looking for, consumers are predisposed to shop at your store simply because it’s a small, independent business. The key to building on that natural desire, the study says, is to make connections with prospects and build lasting rapport with customers. Here’s how. Facebook is by far the most popular social network among surveyed consumers, with Twitter, Pinterest and Instagram tied for second place. Start your social media outreach by building a strong presence on Facebook. To get more interaction on your Facebook page, the report suggests emphasizing your independent, small business status. You can do this by sharing photos, quotes or information about yourself, your employees and your store. The goal is to make customers feel like they know you personally so they’re comfortable walking in. Don’t forget about Facebook advertising, either: nearly half of respondents in the survey say they are somewhat or very likely to click on relevant Facebook ads. Although your Facebook presence should be your primary social media outlet, the report also recommends having a presence on Pinterest, Instagram and Twitter as well. “Showrooming” is a legitimate concern for local retailers. Some 31 percent of survey respondents say they use their smartphones to look for better prices on products sold in-store. However, you can counteract this tendency by using pay per click (PPC) mobile ads that target a very specific radius around your store. When a prospective customer searches for a better deal for product you’re selling, the ad will serve up a discount at your store. It doesn’t have to be a big discount to get results: Most respondents say just 10 percent off is enough to sway them to shop at a local retailer. A whopping 92 percent of respondents say online reviews factor into their decision to patronize local retailers at least some of the time. Just eight percent never look at reviews when deciding where to shop. Be sure to claim your store’s listing on ratings and review sites, and monitor your reviews daily to make sure you quickly respond to any negative reviews or complaints. Use window stickers, decals or text on your receipts to encourage happy customers to “Review us on Yelp” (or whatever review sites you use. Watch what people are saying about you on social media, too: Two-thirds of survey respondents say they would review businesses on Facebook or Google+ in addition to the typical review sites. Although 27 percent of consumers don’t need the motivation of discounts to shop at local stores, 73 percent say they are interested in promotions (even though that’s not their primary motivator). Discounts and loyalty programs are the most effective promotions your retail store can offer — and it doesn’t take a huge discount, either (remember that 10 percent rule). You don’t need to try to beat big retailers at their game of 40 percent, 50 percent or even 60 percent off. Instead, the report suggests, save big discounts for slower months when you need to bring in customers, or for highly competitive times of year such as the holiday shopping season.